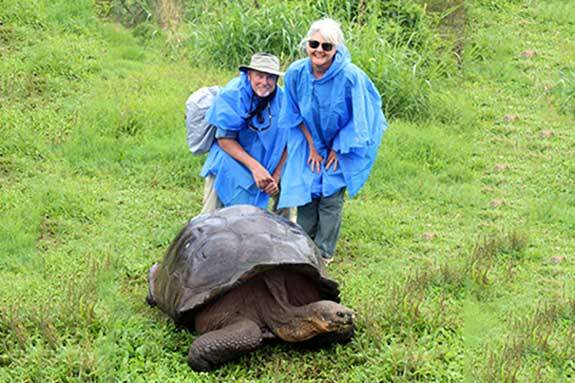 While preparing for a trip to the Galapagos Islands in January 2013, we combed through details on the Ecoventura website regarding the National Park, activities, accommodations, itinerary and suggestions about what to bring. When we came across Pack For a Purpose, we felt compelled to make our own contributions. My husband and I took two packs with us to the Galapagos: office/school supplies and medical supplies, some of which were generously donated by my friend, Teresa Tincopa, NP. We placed labels from the web site on each and gave them to Pablo Salas, Captain of the Letty, our home for the week. Naturalist Ivan Lopez was quite familiar with Pack for a Purpose, and he addressed it in our evening lectures. While we did not have the opportunity to visit on-site, we felt our small efforts were appreciated.Many, many thanks for development of a visionary program, Rebecca. It is so easy to make a wee difference!